Ashmore Estates was certainly an interesting place. 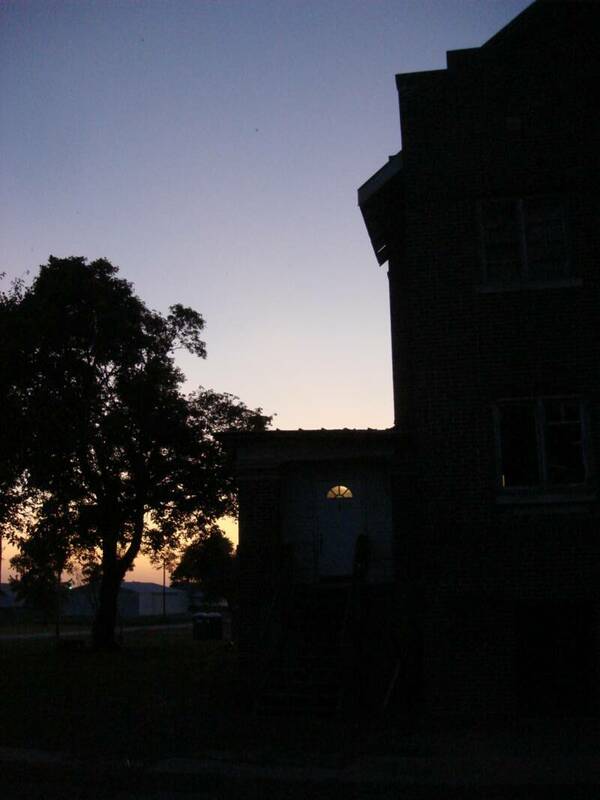 It possessed the same kind of fascinating history and unfortunate tragedy as any other haunted location. I was curious about the level of activity as well as seeing the place for myself after seeing it highlighted in the season premiere of Ghost Adventures. In my opinion, the site didn't disappoint. There was only one distraction, a facet of which proved to be unavoidable on the top floor: The Annual Haunted House. Various mazes were constructed on the top floor making navigation difficult, if not pretty frustrating at times. While I acknowledge the value of fund raising activities, a good portion of the building had been made unusable in the investigation. Fortunately, the basement/boiler room and the rear staircase made up for it. I felt the activity was real and at times, captivating. The ghost box and K2 were of the most value and were both active the majority of the night. 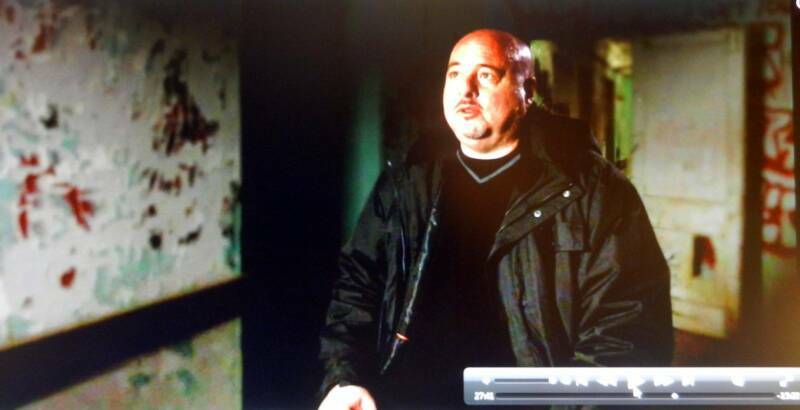 Photo taken during recent filming of the SyFy show 'Ghost Hunters'. I was thrilled to know my interview would be accepted for the show. I set up my equipment in the rear staircase, and we all camped out for awhile. We got good, strong hits on the K2, and the spirit box revealed what I feel were intelligent, relevent answers to our questions. The main (2nd floor) also produced some really good captures on the spirit box after I spotted shadow movement in and out of the window in the room across the hallway. At one point, I believe we were addressing and interacting with a male, approx. 30 years old, as well as a younger girl. The K2 meter confirmed his age when asked by 10's. The meter was flat until I reached 30. It then lit up. An interesting moment occurred after I had picked up the girls voice on the spirit box. I was trying to ascertain her name, age, etc., but the male voice kept interupting with answers of 'no' and other words I'll have to listen to more closely. I asked to speak to the girl and told her to speak directly to me. The spirit box projected her answer in clear words, "I can't". There was shadow activity in the room across the hall the entire time we were picking up the responses on the spirit box. Later that night, or rather, early morning, as we sat in the boiler room, we were excited to hear lots of movement in the floor above us. Sounds of conversation and what sounding like furniture being moved across the floor. A pebble or small rock had made contact with either the boiler itself or one of the pipes in the room. I'm not sure if this was something that fell from the ceiling or was tossed by something unknown. The activity and movement above us continued for at least 30 minutes at which time I felt a slight touch on my head and breathing sounds directly to the right of me at ear height. There was nothing in that vacinity but pipes and the wall. The sounds, activity, and the mood in general seemed to curtail after 3:00am. My feeling about Ashmore Estates is that it is haunted. Perhaps another visit apart from the Halloween season is in order to better explore the top floor and the attic (which was made inaccessable due to the Haunted House). The evidence video is below the photo video. It includes some interesting Spirit Box activity as well as other unexplained sounds. Our team witnessed K2 spikes during our conversation, heard voices answering questions over the Spirit Box, and loud footsteps and furniture shuffling above us while we were in the basement/furnace room. The shuffling continued for some time as we stood and listened. There was no one upstairs and nothing had been disturbed. At one point, in the basement, a stone or object was thrown and hit one of the pipes. It really startled us.